It was a quick decision: YES! I want to be a part of the ecological project in Ourense. Some paperwork, tickets for three different means of transport, a short night in Madrid with 3 lovely cats in my room and here I am! First impression? Even a raw weather can´t detract from the city´s charm! 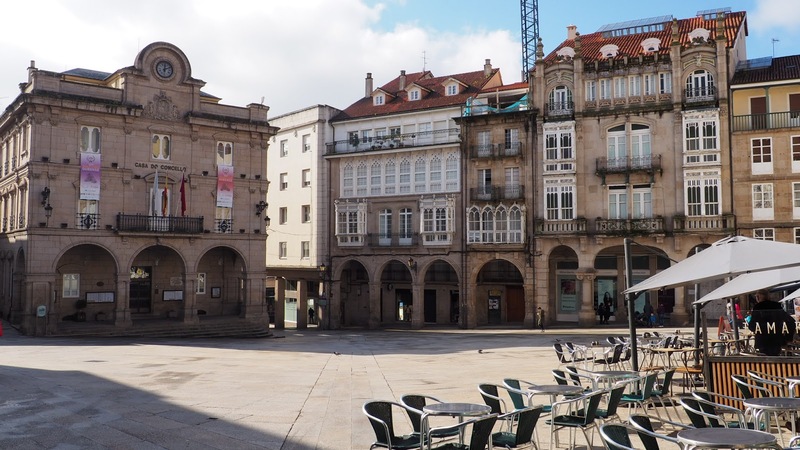 Ourense has a big, amazingly beautiful old town with narrow streets and a lot of restaurants, bars and cafes. For me it was a perfect place to taste typical Galician drinks and dishes, necessarily Estrella Galicia and empanada. And there's still so much to try ahead of me. Above all, I´m waiting for Pulpo á feira! I was lucky enough to take part in a traditional, Galician festival. Celebrating Magosto was real fun for me: traditional music played by people dressed in beautiful costumes, bonfire, roasted chestnuts, local, young wine, sausages and... rain, obviously :) Despite the weather, people were dancing and singing so the great atmosphere put me in a good mood as well. After Magosto, everything has changed. It was sunny and rainless. Guess what? 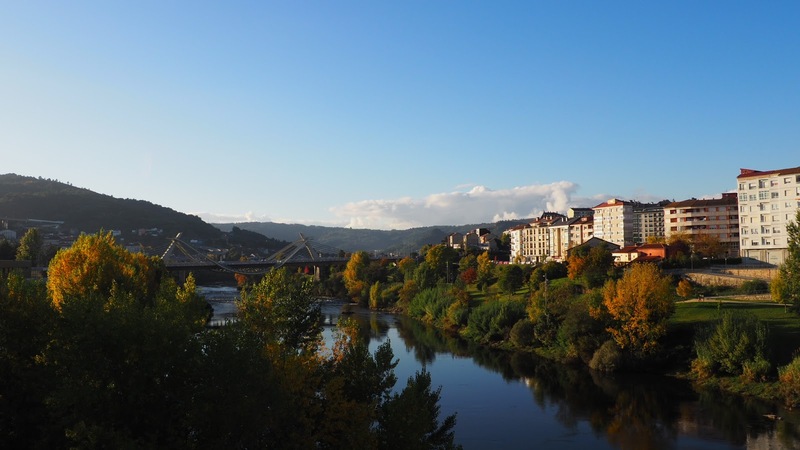 Ourense is even more beautiful with a really clear, blue sky. I especially liked the areas along the river, with plenty of colourful trees and plants. During that time I also had occasion to admire the neighbourhood of the city and I´m truly in love with the mountains and forests. Thanks to camera traps that we´ve left there I was able to see that it´s a place of wildlife as well.